Directory Maximizer - assists webmasters and SEO companies in submitting their sites to quality SEO friendly directories on the web. As an affiliate, by referring prospective clients, you would get paid 15% lifetime commissions from the sales made off every client you refer to our service. Whenever anyone clicks on a link or banner placed by you, a cookie containing your unique account ID will be used to mark the user for the next 90 days. If the person signs up within this period, you are credited with 15% commissions on all orders* generated for the lifetime of the user! As an affiliate, you will be paid by Paypal between the 10th and 12th of every month, once the commissions earned have reached a minimum of $25. DomainIt - Partner with one of the Internet's premiere domain name, email, and hosting providers, selling products up to 74% less than competitors! Get a free $50 signup bonus when you join today! Earn $50 on every hosting package sold, plus 15%-20% on other services. Earn even more when you take advantage of the 365-day cookies, allowing you to earn commissions when your referred visitors come back to place an order within 1 year. Plus, refer affiliates and earn 2% on all of their referred sales. Dot5Hosting - is one of the industry leaders in Web Site Hosting. Dot5's affordable packages, low cost domains, and value added services are one of the reasons that Dot5Hosting has become one of the most popular web hosting packages on the internet today. Another reason their customers are so happy with their services is that they have terrific 24 / 7 customer support, Dot5Hosting have a 99.9% uptime and a Money Back Guarantee. Their lowest priced plan offers 10,000 megs of space & 250 gigs of transfer for only $4.95 / month. On this $50 / year package as well as their Business plan & Virtual Servers, Dot5Hosting are offering a terrific $50 commission. This is the best package to market to potential web hosting clients. Earn $50.00 per sale. 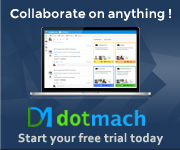 Dotmach - is an online workplace task management application that reduces work stress at your work place. Dotmach brings your team, content, tasks and strategies together to a single place, where you can transform your work culture and achieve remarkable results. Stay connected to your team and organize workflow at one place to enhance your productivity by collaborating the resources. When a visitor to your site clicks on the affiliate link to our site and completes a payment for subscription, you will get the 20% of the payment as affiliate commission every time. We will release the payment when your commission balance is $25 or above and there is no upper limit for your payment. DreamJobsAtHome - Affiliates earn up to $109 per sale on a growing list of our hottest money makers. Real time stats tracking is available through Clickbank. Affiliates promote a single URL and earn high comission and high conversions on many top sellers not available elsewhere. Product description: Now you can easily earn $300 - $3000 every day at home using the DreamJobsAtHome Ultimate Income Kit. No skills, no capital, no experience required. Some people are already making $9,000 - $90,000 a month. DreamVPS - is a premier boutique provider of dedicated hosting solutions for businesses, entrepreneurs, and brand owners all over the world. 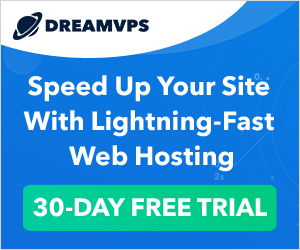 As an honored affiliate partner of DreamVPS, you will earn a generous 20% per sale with a life-time cookie tracking period. That means, we partner with you for life-time and will keep sending you residual commissions on all repeat purchases and renewals. EarthGirl Hosting - The Earth Girl Hosting Affiliate Program is an easy way to earn an ongoing income. For each payment we receive from your referral, you'll get 10%. This means that we don't just pay you once, we keep on paying you as long as your referral keeps their account active! Easy CGI Web Hosting - Since its inception in 1998, Easy CGI has become a globally competitive Web Hosting Provider, hosting over 20,000 Web sites. Consistently ranked among the top 10 Web Hosting providers worldwide, Easy CGI has demonstrated that it has the ability to provide the kind of reliable and advanced hosting services that our customers demand. Easy CGI offer Web Hosting plans to fit any budget as well as $10.00 domain registration and server hosting. Their state of the art Data Center and Colocation facilities boast Dell PowerEdge servers with backup and redundancy that can't be beat. Every Easy CGI hosting plan comes with an uptime and money back guarantee. Your customers will receive the best customer support. With Easy CGI, you will earn $110 for every sale! Easyspace - is one of the longest established hosting companies and domain registrars in the UK – founded in 1997 and part of AIM listed iomart plc. Since then, over 500,000 domains have been registered and over 300,000 customers now use Easyspace top quality hosting with 100% uptime in our 5 UK data centre • Easyspace offer excellent pricing for beginner to expert alike: • Starter web packages from just £2.25 a month with a FREE domain • Business hosting from – £7.99 a month All are available with one-click installs for Joomla, Wordpress, Drupal and more – and compatible with the latest PHP. Commissions We offer very competitive commissions, with tiers in place for volume sales, paying up to 50% commission on some of the best hosting products available; potentially over £1,000 commission from a single Dedicated server package sale: • Domain commission: 10%+ for all types • Dedicated servers: 20%+ • Hosting commission: 35%+ on all hosting products • Plenty of banners and buttons to promote us on your site • Full product data feed to populate your site • 60 day cookie to maximise your opportunity • Average EPC over 50p • No phone leakage on affiliate traffic commission 11+ sales 26+ sales Domains 10% 12% 14% Hosting and Email 35% 42% 49% Dedicated and Virtual servers 20% 24% 28% Commission on monthly and short term hosting packages will be paid on 2 months revenue. EmailTracer - are an company that provides comprehensive public record information based on an email address. EmailTracer have been dedicated for years to systematically gather more databases, sources and data center links to provide members with the highest possible level of investigation services. What type of information will EmailTracer find? Almost anything, except for the very sensitive personal information such as financial and credit card data, including passwords and full account numbers. Other than that, with only an email address, you can uncover vast amounts of data about almost anyone. The latest and greatest from Procash. This brand new niche has been taking off FAST. Jump in now while the competition in the affiliate marketplace is still thin. Procash has finally made this available and we want current Procash affiliates to jump in now. Think about it? Where did you use to go if you wanted to look up someone's email address? What about if you wanted to find out the owner of an email address? There hasn't been a complete comprehensive solution - until EmailTracer.com. After taking the past few years to gather the information from our database EmailTracer launched in January and since then we've seen conversion rates 5%+ (hop to sale). EmailTracer.com includes the biggest compilation of e-mail address information out there and puts it into a nice neat package for your traffic. This is going to get bigger and bigger and here’s your chance to promote EmailTracer.com first. Tap into this growing market and as always enjoy 75% commission on every sale. 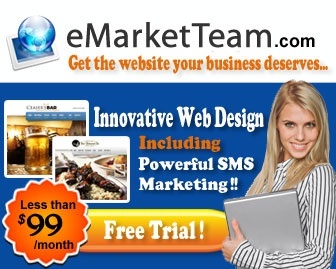 eMarketTeam - strives to provide powerful web presence technology to businesses that rely on customer communication and interactivity with their web properties. We have designed our innovative Website Platform to allow business owners an easy and visual way to building, maintaining, and operating more than just a website. Our mobile marketing, simplistic platform, and powerful built in site features make us not only the most advanced service supported DYI company online, but the most integrated. Our services are centralized and designed to work flawlessly with one another giving you a seamless and smooth business website experience. Commission range from $7.50 to $40.00 (recurring) depending on gthe product sold. eMarketTeam can also host your own site on their server. Here is an example of an EmarketTeam Website Builder Site. EngineThemes - Join 1000+ fellow affiliates and earn more dollars with our WordPress Themes and Platforms. It's easy to get started. Banners and text links included. Earn up to $175 per sale. We offer a 35% commission for each customer you send our way. eReleases.com - is a leader in press releases services for businesses, bloggers, and website owners. They have excellent writers on staff as well to facilitate the press release process. You will earn commissions on the following actions: - Press Release Writing - Press Release Distribution. You will earn a huge $75 per sale on these two actions. Press Releases are extremely popular with business owners, bloggers, and website owners. Press releases are great for building business, increasing inbound links, and boosting website rankings and traffic. They are a generally excellent way to promote and market a business and work very well, so they are very desirable. We can provide a ton of helpful resources, affiliate training, press release keyword files, and even a 100% FREE website builder so you can build your own blog promoting eReleases.com. We look forward to working closely with you on the project. Fancy - is the leading social commerce platform and the premier discovery and shopping app of the future. Over 10mn members in our global community discover, collect and purchase from a crowd-curated selection of the coolest products from all around the world. Fancy what you find, and buy what you fancy! We offer a wide range of styles and verticals from brands that span "up and coming" to "well established." You will be able to find nearly any product from every vertical imaginable and earn 10-30% on each item. Earn 10% on every sale and up to 30% on select items. New on the Net!! Input your search, click on Findit and you will appear directly in the best site found for your search... Dont waste time!!! Findit-Quick.com - allows you to search more than just the Internet. Findit-Quick combine paid, free and deep web listings to bring you results that suit every need. List your site in our directory and take advantage of the lowest pay-per-click rates on the net. Get quality traffic to your site for as low as $.05 per click. Open your account today for only $50.00. Earn $0.01 per search and all you have to do is place a banner or search box on your site. Our Pay per click options are excellent! Bid on Keywords, Banners, Domain Redirects, Hotzones, Tours, Quick Clicks, and our Top Sites listings. Recieve 1000 ready to buy customers for only $50.00! FreedomPop - the nation’s first 100% Free Internet & Mobile Phone service provider, invites you to be a part of our affiliate program. Our industry leading conversion rates help drive generous payouts across all verticals including Freewireless internet, Free home broadband, & Free mobile phone service. 100% Free internet/ Voice & Text speaks to consumer needs, and our drastically price-reduced product line includes LTE hotspots, nationwide hotspots, and LTE phones. FreedomPop has matured, grown and comfortably settling into her rightful place as the alternative to the big telco companies. FreedomPop is the answer that consumers have been asking for… free service, inexpensive hardware without any contracts or commitments ever. We support partners with creative assets & keyword suggestions. We'd like to share the same success with you that many of our partners are are currently seeing via promoting a unique & absolutely free offer. Earn up to $15 per sale. First4Business - is a global directory listing website. It enables people listig to get SEO DO FOLLOW weblinks to their own website, as well as driving valuable traffic to them from its own listings and SEO rankings. Earn 35% commission on sales. Freeparking Domains & Web Hosting - Freeparking provides affordable, user-friendly, reliable website and email services, along with the best customer service in the industry. Freeparking was launched in July 2000 as a division of WebFarm Limited, a pioneering website hosting provider since 1997. Freeparking quickly became a New Zealand market leader in domain name registration, email and website hosting services. Freeparking forms part of the ICONZ-Webvisions Group, which also includes WebFarm and 2Day.com. Earn 15.00% commission on sales. Globat - Founded in 2001, Globat has quickly grown to become the world leader in Performance Web Hosting®. As one of the most established Web hosting companies in the United States, Globat.com offers affordable, quality Web hosting solutions to customers worldwide. Along with their feature-rich hosting packages, Globat.com's dedication to customer service and technical support has cemented their status as a major player in the Web hosting industry. Since its formation, Globat.com has focused on making Web hosting accessible by everyone, regardless of technical knowledge and has taken the lead in this area with their Web Hosting Made Easy® philosophy. Receive $75.00 per referral for every new hosting customer you refer. Goldbar - is a leading ecommerce company providing ecommerce solutions to it's customers for past 10 years. Goldbar Enterprises is a recognized leader in the E-commerce Solution Provider industry. After investing millions of dollars and years of development GoldbarOne was created. GoldbarOne is the only online software that helps businesses of any size get more traffic, more leads and more sales. GoldbarOne has been designed to actually solve the problems of business owners just like you (not just talk about solving them). GoldbarOne is not a private label, co-brand or reseller of any other E-commerce solution. GoldbarOne is strictly proprietary software of the highest quality, developed in-house by the most competent Developers on the planet. We’re always improving GoldbarOne based on what our customers want. In our world, the consumer really is king. We are truly blessed here at Goldbar to have assembled a team of the world's most loyal employees who truly bleed the blue and orange the way we do. They truly are the backbone of our company (many customers have written to us time and time again remarking on what a great team we have). Goldbar affiliate program providing 35% to 40% recurring commission on paid members you refer to Goldbar. Goldbar are also providing two tier affiliate program so that you can earn money from the affiliates you refer to Goldbar. Grampapa - is the ultimate instagram content management platform. Our Product is completely in line with the Instagram user & API policies and is the safest way to schedule & auto posts images, video & stories. You will get in-depth analytics on your account. Schedule & automatically post Photos, Videos, Stories, and Albums. Repost public Instagram posts directly from post URL or embed code. Create & user your pre-defined Caption Templates. Schedule Calendar. Manage multiple Instagram Accounts. Use Cloud Drives to import media (Dropbox, OneDrive, Google Drive). Emoji Support. Learn more about your audience statistics & analytics. Grampapa package pricing range between $6.99 to $26.99 on a monthly plan which counts as $75 -$260 on annual accounts. Our Affiliate Program creates a very high interest for every affiliate member, offering 60% commission per sale and 20% in lifetime recurring, with an additional 5% for sub-affiliates. That means if your referral link sells 40 packages in a month you will cash-out a quick $360-$11,664 depending on the type of accounts you sell. Also you can receive upto $2555 per month solely in your lifetime recurring commissions! Heart Internet - believe all websites deserve great web hosting. Heart Internet is one of the UKs leading web hosts offering award winning web hosting, reseller hosting, VPS & dedicated server hosting to individuals and businesses of all sizes. No data limits; 24x7 100% UK support; Award winning web hosting platform. Our commission rates are amongst the highest in the industry... Domain Names 5%; Web Hosting 30%; Reseller Hosting 30%; Site Builder 30%; Server - Dual Core 30%; Server - Quad Core 30%; SSL 35%; VPS 30%; Hybrid Servers 30%; Hosted Exchange 30%; Go Mobi 30%. HitPro! - provides the perfect search engine submission service for every big or small business website. Our services are highly recommended since we offer innovative search engine submission and website promotion services at lowest price. As an affiliate of HitPRo you have an opportunity to earn generous commission. HitPro! offer 15% commission per sale on any hit pro campaign. We also offer 5% 2nd tier commission on sales. Join our affiliate program now and Start making hefty commission for Today. HostGator - is a world leading provider of shared, reseller and dedicated web hosting. Privately held and based in Houston, Texas with a full in-house support team of over 150 industry veterans. Customers are not required to sign up for any contract longer than month to month service. We have no setup fees on any of our plans and because of this you will see some of the highest conversion ratios in the industry. Our payouts offer 100 dollars per customer sign up and its unlikely you will find your partnership with HostGator to be anything less than extremely profitable. HostGator provides over 150,000 customers with innovative products and services designed to complement their existing businesses. From Freelancers, to Fortune 500 companies in more than 170 countries worldwide, we grow at an outstanding rate each day. In 2008, HostGator was recognized by Inc. Magazine as one of the fastest growing private companies in America. According to Inc. Magazine, HostGator is the 21st fastest growing private company in America, the second fastest growing private company in the "business services" sector, and the fastest growing private company in Texas. Come join the top affiliate program making our associates thousands every month. There is no better time to start promoting HostGator services than now! Earn $100 per sale. Hosting24 - was founded 11 years ago, immediately gaining its market share as one of the best-valued hosting companies. Our company is now one of the leading providers of shared and reseller hosting, as well as VPS server hosting and domain registration. We have been growing since day one, listening to our client suggestions and making the service better each day. Hosting24 is part of the Hostinger (Hostinger International Ltd) group, which is an ICANN accredited registrar. ICANN accreditation means that company has been verified, has a strong financial ground and can be trusted. It also means that we can register domain names directly (without using a domain reseller), which ensures additional safety. Your domain names are protected with us. Our payouts offer 55% of sale value commissions program per new customer (first-time buyer), so this is why you will find your partnership with Hosting24.com to be anything less than extremely profitable. Hostinger International - provide a world class website hosting platform to over 29 million users in 178 countries. 15K new sign-ups on average every day - that’s 1 new client every 5 seconds! We have developed a powerful technology to help you learn, create and grow. We owe huge thanks to our community for joining us on this thrilling journey, and we hope that you will continue to be a part of our story. Earn 60% commission on sales. Hubstaff - is a time tracking software suite that allows managers and business owners to more easily manage their online contractors and virtual teams. Hubstaff is actively used by over 1,000 agencies, freelancers, website owners and virtual teams all over the world. Hubstaff allows managers to track time, see screenshots, add work notes, invoice clients, track activity, and see all of this in flexible reports with custom date ranges and filters. Integrations with payment systems (Freshbooks, Paypal, Quickbooks online) and project management suites (Basecamp, Asana, Jira) are coming soon. 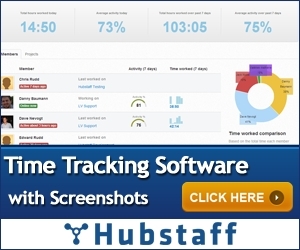 Hubstaff time tracking with screenshots works on Windows, Mac, and Linux. We are a team of 4 online entrepreneurs and developers from Indianapolis, Indiana. We've got a robust affiliate system that is 100% free, and you'll be paid for every referral made through your unique link. Our top affiliates are using various channels like blogs, pay-per-click, emails, and social media to generate large payouts. Simply share your link and earn. Earn a 30% Recurring commissions in a 3 Tier System with Monthly Payouts. InformativeResources.com - Choose from a variety of packages with master resale rights, find real web traffic that is perfectly targeted to your site, and get real guaranteed signups to your program at discounted wholesale prices. Informative Resources offer resale rights packages, web traffic, and guaranteed signups for every website and for every budget! Quality Master Resale Rights Packages. Hot program - In Demand Products - Good Conversion - Low Refunds! With 50% commission and items up to $97, this program offers a huge income potential and almost infinite market. Plus with Clickbank running the program, you can be confident in the reporting and tracking of all your sales. InterCall - the world's largest conferencing services provider, offers integrated web, audio and video conferencing solutions that make online meetings, webinars, audio conferencing, online training seminars and multi-point video conferencing easier and more productive. InterCall has been featured in Businessweek, The New York Post, and PCMAG.com. Receive an additional $10.00 commission bonus for EACH qualifying conference call and online meeting program sign up thru 9/30 for new affiliates. An extra $10.00 in promotional commissions will be paid on all sign ups as outlined within our commission structure to qualifying program purchases 7/28/11 - 9/30/11. Interserver.net - founded in 1999 has been offering low cost webhosting and VPS soultions. Our services have low startup costs: $6 per month for VPS and $6.95 per month for Web Hosting. Customers are not forced into multiyear upfront payments all prices are monthly. Our simple approach to hosting results in a very high conversion rate. Earn $100.00 USD per order. InterServer.net - has been providing the same services for the last 16 years! Although the technology has changed from the time we first opened in 1999. Our core principals of quality service and support have remained the same. Over the years our company has expanded its product offerings to include dedicated servers, colocation and other managed services. As a technology and product innovator, Interserver is able to provide its innumerable customers with innovative products and services designed to complement their existing businesses. We serve customers ranging from individual freelancers to Fortune 500 companies in many countries. Over the years, Interserver has built a solid reputation for our commitment to security, reliability, technical expertise all while providing outstanding customer support. We aim to treat our clients well, and strive to provide around-the-clock service, comprehensive resources, and all the tools needed to run your business. We are currently achieving a very high conversion rate. Initial customer out of pocket expenses is very small to get started. For example a customer only needs to pay for 1 month of hosting and stay with us for 60 days for you to receive $100 payout. IPVanish VPN - is a subscription-based encryption service that individuals and companies worldwide use to secure data transferred online via any device (laptop, iPad, Android device, etc). In addition to protecting your data and online identity, IPVanish gives you the ability to: Adopt different IP addresses on-demand, Encrypt your Internet connection everywhere, including Wi-Fi hotspots, Bypass geo-blocking restrictions from local ISPs, Bypass bandwidth throttling from local ISPs. The VPN market is a massive industry with millions of subscribers, and the global interest is increasing every day. Our partner, www.IPVanish.com, offers one of the highest-performing VPN services at the best price--$10/month. As an Affiliate Groove partner, you'll be able to promote IPVanish VPN and will get a 100% commission for every conversion. You can also expect the same dedicated affiliate support along with high-converting banners and landing pages. Islamic-traffic.com - is the best place to advertise your business. We have the lowest rates in the online advertising industry and the most satisfied customers. Promote up to 3 URLS and choose up to 3 different Muslim countries with a single traffic package at $12.95. Our country targeted website traffic is delivered through expired domain names that provide higher conversions than the regular popup / pop-under traffic campaigns you may have tested so far. Earn 25% commission on sales.